Titles in the popular "A First Look At" series for pre-school and early-grades kids explore emotional issues, encouraging children to discuss things that bother them with trusted adults. The series also helps them begin to develop basic social skills. Written by a psychotherapist and child counselor, these books promote positive interaction among children, parents, and teachers. They are written in easy-to-comprehend language, and have child-friendly illustrations on every page. 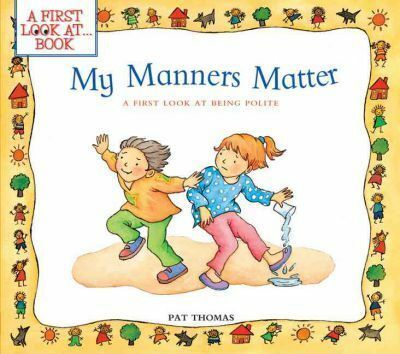 Boys and girls learn that good manners are a simple way of showing kindness and respect to people they know--and to people they don't know. They are shown that being polite makes working and playing together more enjoyable for everyone.